Comic Book University - Comic book characters just hanging out at college, funny stuff! Clone Trooper and Stormtrooper lollipops how to - I could make so many jokes about Clone Trooper Pops, but since I'm classy, I'll spare you. 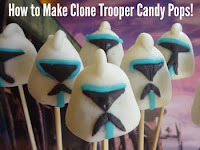 ;) Check out this how to on making suckers that look like our favorite bad... or good guys. Doctor Who inspired fashion by Tara Reich - You know you want a dress that looks like a Tardis! This designer melds vintage and sci-fi in a beautiful way! 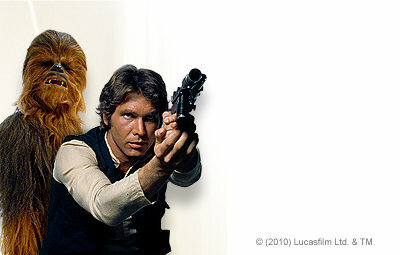 Han Solo on the TomTom - The best scoundrel of them all will tell you just how many parsecs you have until you get to the office. Well, I don't know if it actually does that, but still. Be sure to listen to the voice samples for a laugh. 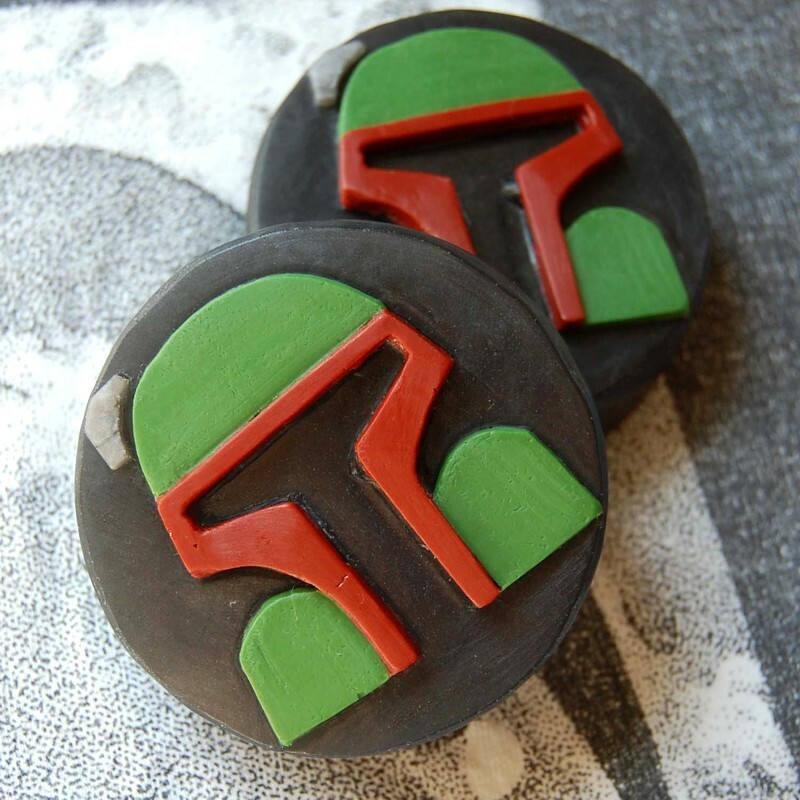 Star Wars Cupcakes - This blog page has collected the best of the Star Wars cookies and cupcakes out there. I'm really impressed by the details on the Padme Amidala cupcakes! Katie Cook's F**k you box! - Katie Cook has written a little comic about a foul mouthed cat. I grabbed mine at San Diego Comic-Con; it his hilarious and adorable. It will only be available on her site until tonight, so order now! Just $5 + shipping! thanks for the linkies. loved the superhero university.